Temperatures might have fallen to minus five outside the Helsinki Exhibition & Convention Centre, while the snow covered streets are bathed in the first of seven meagre hours of daylight, but Matka, the largest travel fair in northern Europe, is a buzzing hive of activity. With 1,000 exhibitors from nearly 100 countries packing the halls, there is plenty for the 70,000 visitors to see over four days as they meet to shape travel experiences in Finland and beyond. Indeed the show is at the cutting edge of conferences, using the latest in digital technology. This year Matka utilised the augmented reality systems some of us are more familiar with from last years Pokémon GO craze. Point your smartphone at any stand and receive information about the exhibitor as well as contact information and much more. The potential for information sharing is exciting, with no more need for clumsy business cards. Matka further embraced the digital revolution by inviting 60 bloggers from around the world, each with over two million followers, to experience the fair and what Finish tourism has to offer. It is an exciting year for the destination, with bloggers invited to write about a year of events celebrating the centenary of Finnish independence from Russia in 2017. But the growth in popularity of Helsinki as a tourism destination is causing short-term problems. Anni Vepsäläinen, chief executive of Messukeskus, hosts of this year’s Matka travel fair, discussed the booming MICE travel sector with Breaking Travel News. With the industry seeing a four-to-five per cent yearly growth, she explains: “We have been met by a bottle-neck. Hotel Clarion Helsinki aims to partially meet this growing need. 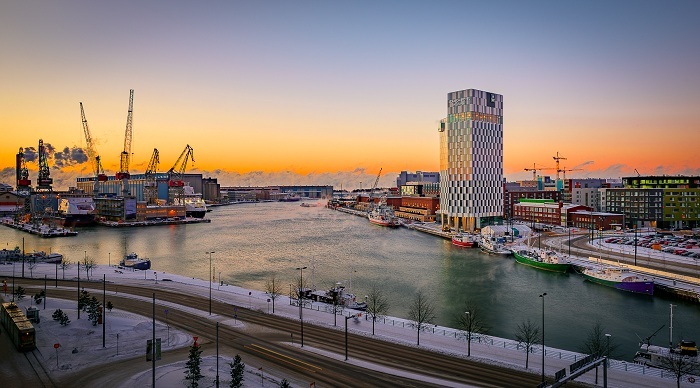 Its 425 rooms and a versatile event facilities, with space for up to 1,000 delegates, are located in a newly built, 16 story tower on one of Helsinki’s many docks. The Sky Bar and glassed bottomed, heated, out-door swimming pool (a mere 78 meters up in the air!) offer a new perspective over the city and across the docks. Hotel Clarion and its sister hotel - Clarion Hotel Helsinki Airport - were opened within a week of each other in October 2016, with plans from the chain to expand further in future. 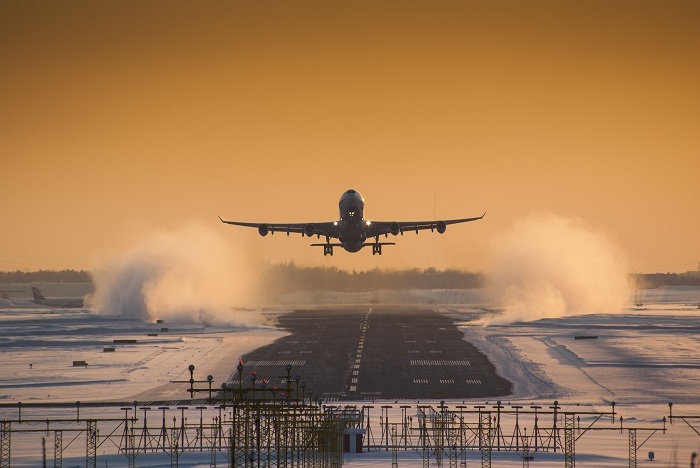 Further adding to Finland’s travel sector growth, Helsinki Airport itself is currently undertaking a €900 million expansion program. With plans to grow traffic from the current 17 million passengers per annum to 20 million a year, the airport hopes to complete the project by 2020. During my visit the cutting edge design, innovative sleep pods, book swap area, and yoga studio all stood out at the airport, which is among the first in Europe to accept Alipay. Taking advantage of the facilities, Finnair is currently running a promotion in conjunction with VisitFinland to entice transiting passengers to stopover and experience some of what Finland has to offer. The world’s fifth oldest airline has been on the up and up recently, with an expansion program seeing the purchase of 19 new Airbus A350 planes. Some 15 per cent more fuel efficient than older models, these ultra-modern planes have across-fleet Wi-Fi, utilise Marimekko design, and use signature menus to incorporate Nordic comfort, style and efficiency into their flights. Back at the show, nature and food were strong themes throughout the Matka conference. A recent Kantar TNS survey found that one third of Finns were planning on booking a nature themed trip in the next year. This growing industry will be reflected in the inauguration of Finland’s 40th national park in Hossa, due to take place later this year as part of celebrations to mark the centenary of independence. Matka also announced the country’s first national food – rye bread - and had an area at the event dedicated to a culinary journey through Finland. But the food is just one of the many highlights of a visit to the fascinating destination. Each year Matka Nordic Travel Fair presents approximately 1,000 exhibitors, representing 80 countries, to 70,000 visitors. They gather in Finland’s largest and most versatile congress centre, Messukeskus, to shape the future of Nordic travel. The Matka Nordic Travel Fair is the biggest travel fair in northern Europe and the best setting where to get contacts from the Nordic countries, the Baltic region and Russia.